Being a foremost organization in this industry, we are actively engaged in offering the finest quality range of Auto Crankshaft. Intech Forge (india) Pvt. Ltd.
We are reckoned entity of this domain affianced in providing an enhanced quality Three Wheeler Crankshaft. We are engaged in the manufacturing and supplying of an assortment of Three Wheeler Parts. Dimensionally accurate, these are widely considered among the clientele we hold. Relying on the prudent vendors for high-grade raw materials, we assure the supreme quality of the whole range of three wheeler parts offered by us. Also, these offered parts are known for their long lasting life. 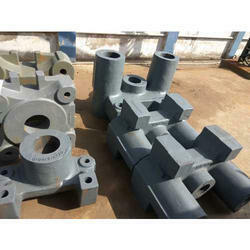 With enriched industrial experience, we have been able to offer a wide spectrum of Forged Crankshaft. We are readily engaged in offering Three Wheeler Crankshaft to respectable clients. Our Three Wheeler Crankshafts are made using of high grade components. These products are available in various specifications according to the needs of our clients. Customers can avail these products at market leading prices. 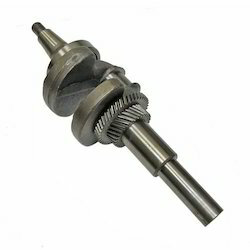 Our company is well known manufacturer of superior quality Three Wheeler crank shaft. These Three Wheeler crank shafts are made of high grade raw materials that ensures durability and long life. The crankshaft, sometimes casually abbreviated to crank, it is the part of an engine which translates reciprocating linear piston motion into rotation.